Berjaya Food Berhad Initial Public Offering (IPO) received an overwhelming response with its Malaysian public portion of 7 million shares. It was oversubscribed by 14.48 times. The IPO attract 4,942 applications or 109.4 million shares. For the Bumiputera portion, a total of 2,075 applications for 40.2 million shares were received which represents an oversubscription rate of 10.53 times while under the Malaysian public category 2,867 applications for 68.6 million shares were received for an oversubscription of 18.43 times. Notices of Allotment will be dispatched by post to all successful applicants on or before 7th March 2011. 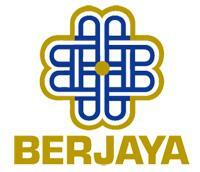 Berjaya Food Berhad is expected to be listed on the Main Market of Bursa Malaysia on 8th March 2011 under stock name BJFOOD. Details information are available in Bursa Malaysia webpage. Previous post: Hong Leong Fortune Credit Card with REAL Cash Rebate Next post: How Much is the New Motor Insurance Premium?